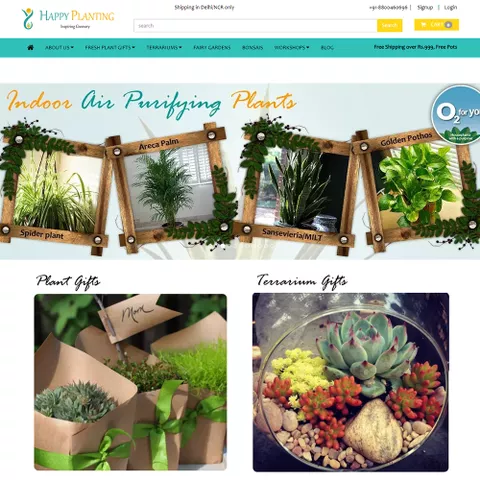 Happy Planting is an online gift shop with an eco friendly twist to it. 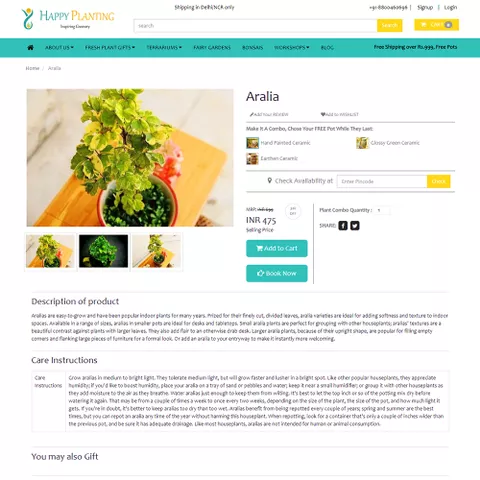 They are giving green gifting a new dimension by packaging fresh plants, artistic bonsai, exotic terrariums and potted landscapes, as gifts that can be ordered online and delivered to the doorsteps of the customers. The niche industry vertical connected with the right audiences through its website and has been able to create a green revolution in its own right. They are taking the cause further by offering workshops and affordable yet beautiful gifts for various occasions. StoreHippo top ecommerce platform, delivered a solution for Happy Planting that was totally in line with their Go Green initiative. Their team was able to choose from the library of Storehippo themes and create the most stunning store that brought each and every plant in their store alive for the customers. They are now able to target millions of plant lovers in Delhi-NCR with their green and lovely gifts. The other requirements of the portal related to various Ecommerce requirements were handled easily by the comprehensive inbuilt features of StoreHippo platform. 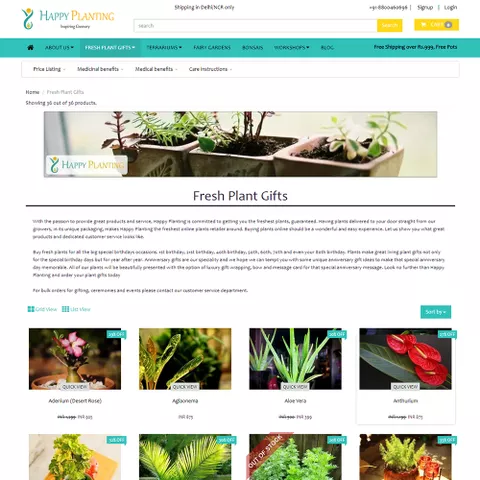 The flexibility and DIY nature of the platform allowed the team of Happy Planting to experiment with the features and setup their own custom store.